Available direct from Quarto Knows. I think that's the best way I can describe this book. It takes practicality to a whole new level. as well as fabric to create linings and bases. them into the crochet movement. imaginative and well thought out. projects that are held within the book. but there are also charts for so of the designs. 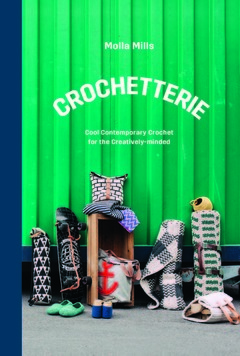 crochet patterns to create extremely practical items. and interesting ones as well. I especially love the bee game. to whittle your own crochet hook. my son a bit more to learn to crochet.